Service Forms with Claim Check 311 At Print EZ. Service Forms with Claim Check Item No. 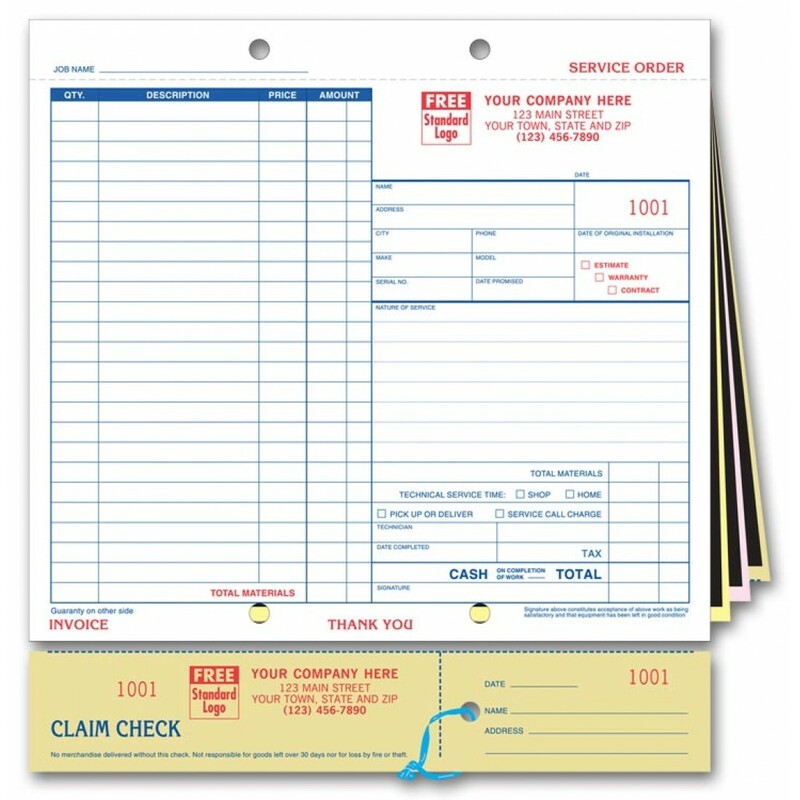 311 Size: 8 1/2" x 9 1/4"
We bring to you service forms with claim check so that you can compile all your records into one and maintain more organized paper-work for your firm. 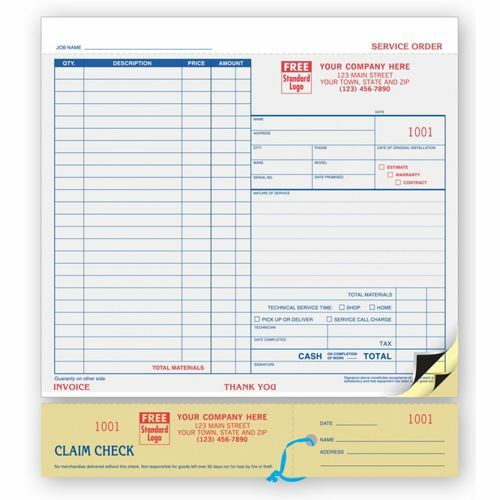 Pre-packed with carbon insets, these service forms allow you to list out everything right from the labor to the material used. Check box facilities will help you speed up your work tremendously and make it less cumbersome too. Be it the pick-up type or information on the warranty or estimate, everything can be listed on this one form. The claim checks with plastic fasteners are very handy indeed and help to avoid confusion and mix-ups which not only saves time but allows for a smoother functioning. Excellent product, free shipping, just what I was looking for. Everything was perfect. Rebekah is great. great service! Fast delivery and good product. Item as described, great product!